You are here: Home / Education / Politics / US Politics / U.S. Embassy In Tel Aviv Prepares A Monday Move To Jerusalem: The taking of the Palestine land? U.S. Embassy In Tel Aviv Prepares A Monday Move To Jerusalem: The taking of the Palestine land? 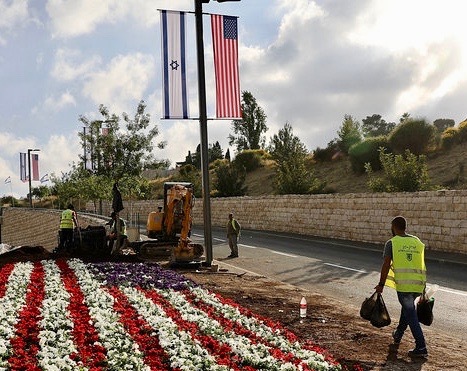 U.S. Embassy In Tel Aviv Prepares A Monday Move To Jerusalem Jerusalem has become the focus of US foreign policy with Donald Trump widely expected to announce in a Wednesday address ( Dec 6) that he intends to recognise it as Israel’s capital. The US President says if he does he’s keeping a campaign pledge by moving the US embassy from Tel Aviv to the contested city. U.S. Embassy In Tel Aviv Prepares A Monday Move To Jerusalem. Come Monday, Jerusalem will be the official home of the U.S. Embassy to Israel. 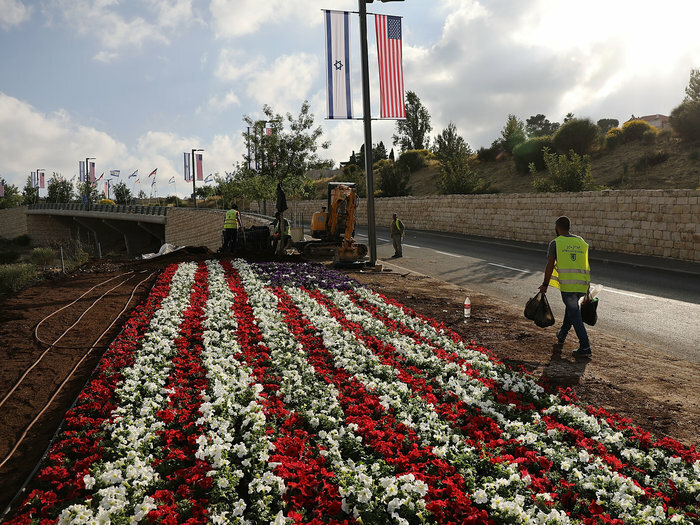 Near the office, American and Israeli flags line the streets. New road signs, written in Hebrew, Arabic and English, point the way to the embassy. The Friends of Zion Museum has plastered buildings and buses with more than 150 billboards in support of President Trump. And on Twitter, the Tel Aviv handle @USEmbassyTA has gone dormant and @usembassyjlm has taken its place. The U.S. Embassy had operated on HaYarkon Street in Tel Aviv since the late 1960s. No country has its embassy in Jerusalem because of its contested status — both Israelis and Palestinians see the ancient city as their capital. For decades, U.S. policy refrained from recognizing Jerusalem as Israel’s capital until Israelis and Palestinians settled the matter in a peace agreement. During his visit to Israel, Vice President Pence said the U.S. would complete its plan to move the embassy by the end of 2019, speeding up a previously announced timeline.